I have made the girl in today’s Meditation fall on her bottom so many times. 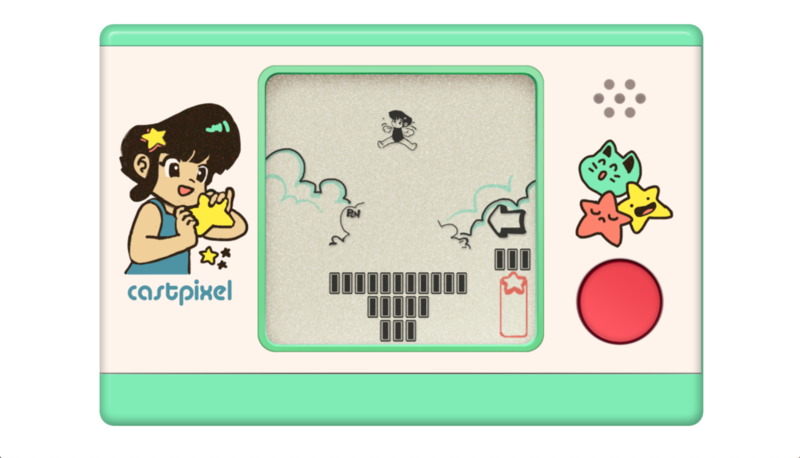 This game looks deceptively simple, with its super cute visual design and wrapper reminiscent of physical game toys of decades past. But the platforms that fly beneath the girl’s jumping feet sometimes come at speed, and because she has a habit of shifting to the side after each jump it can be hard to figure out where she’ll be safe. Still – as long as the chirpy music doesn’t exacerbate your frustration – it’s very easy to keep playing this one-button game until you’ve achieved your goal, and managed to layer enough platforms to fill up that meter at the side and help this persistent girl to reach the stars.